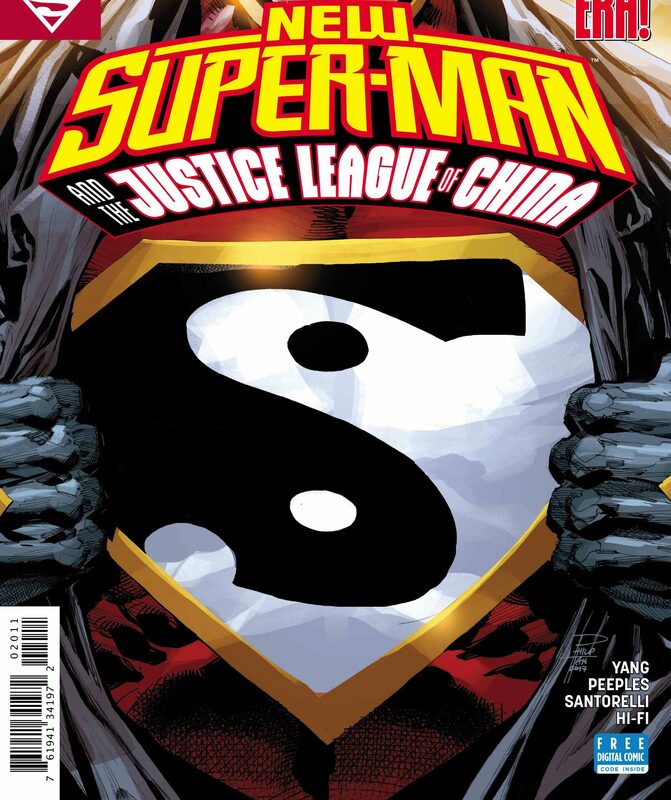 New Super-Man and the Justice League of China #20 Review – AiPT! New Super-Man and the Justice League of China continues with a brand new arc debuting the Aquaman of North Korea! New Super-Man and the Justice League of China #20 is the first issue of the brand new arc set to introduce the Aquaman of North Korea. This issue also marks the first of the rebranding of the title from simply New Super-Man to New Super-Man and the Justice League of China, as the team breaks away from the Ministry of Self Reliance to be heroes for themselves. As usual, Gene Luen Yang writes a fantastic cast of teenage, Chinese versions of the main DC Justice League while the artwork by Brent Peeples is a great fit for the tone and the feel of the book. This issue mainly revolves around setting up three distinct storylines and character developments. The first revolves around the Aquaman of North Korea, who is a schoolboy within the brutal regime who has been consuming media from outside of the reclusive nation. His powers revolve around him sweating profusely, causing large bodies of water where aquatic life can pass through, almost like a portal. This is a weird power that we’ll likely get more information on as the story progresses but the character from what’s seen in this issue is very interesting and seems to fit in nicely with the misfit group that is the Justice League of China. The second plot revolves around the relationship between the Bat-Man of China, named Baixi, and the Wonder Woman of China, named Deilan, which has finally developed from the crush that the former had on the latter in the previous arcs to a fully blossoming relationship. It’s rather an adorable relationship due to Baixi’s anxiety around the whole situation and how he is so eager to prove himself to Deilan. This is the only acceptable version of the Batman/Wonder Woman, known as WonderBat, in my personal opinion. The third storyline is Kenan, the New Super-Man of China, and his efforts to better himself while unlocking his full potential as a superhero. This development from the self centered, arrogant jerk that Kenan was at the start of the series is great to see and his attempts to not call Baixi fat are funny to read too. He’s also fighting the battle to harmonize the yin and yang that his master had shown him in the previous arc. The art by Brent Peeples is great and fits the book well. Everything looks great to look at and read and the layouts work really well. New Super-man and the Justice League of China #20 is a solid opening to the newly retitled book that makes me excited for whats coming next. New Super-man and the JLC #20 is a solid new opening to the retitled book that makes me excited for whats coming next. Gene Luen Yang writes a really nice cast of characters as always. The Aquaman of North Korea is interesting enough for me to want to know more. The artwork of the issue is superb.